In what what can only be described as theatre, the Democrat-controlled House of Representatives voted late Thursday to pass two bills that would reopen parts of the government affected by the partial shutdown. The only problem is that neither of the bills contain funding for what House Speaker Nancy Pelosi (D-CA) called an "inhumane" border wall - leaving Republicans and Democrats without any possible way forward during a Friday meeting at the White House following President Trump's vow to veto any legislation that does not include money for perhaps his greatest election promise. 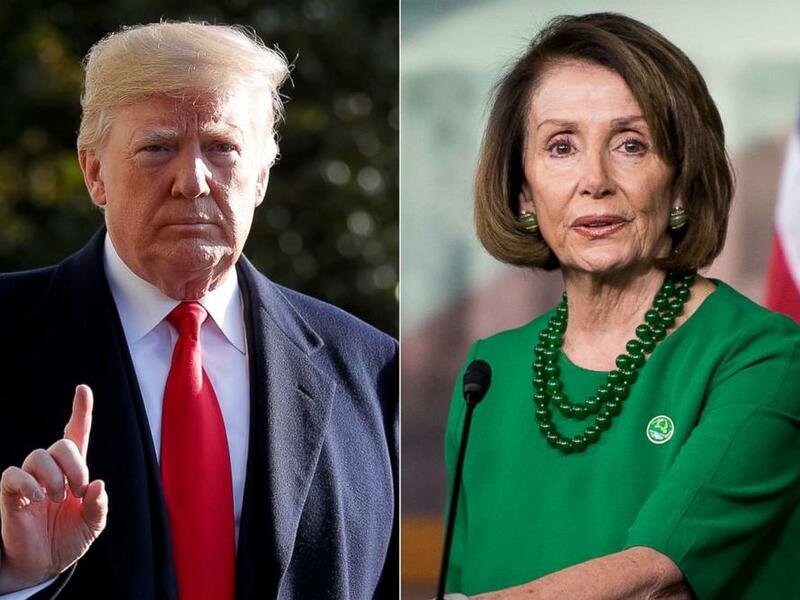 Trump will meet at 11:30 a.m. with Pelosi and House Majority Whip Steny Hoyer (D-MD) along with other congressional leaders, according to the Washington Examiner. "We’ll go down there, we’ll talk," said Hoyer on Thursday. "We’ll try to come to an agreement." That said, House Democrats held a Thursday afternoon hallway press conference where they took turns proclaiming how they would stand their ground against Trump's wall. "We are not doing a wall," said Pelosi - calling it "an immorality." Pelosi said the $5 billion Trump is requesting for the wall diverts money from other critical needs, although it is a tiny fraction of all federal spending. Still, she said the wall was a distraction put forward by President Trump who wants to shield his base from the negative impact of his agenda. “It’s a wall between reality and his constituents, his supporters,” Pelosi said. Shortly after Christmas, White House officials said they told Democratic leaders they would accept about half of their initial $5 billion request. But when asked about the offer, Pelosi suggested the Trump administration backed away from that idea. So at this point, tomorrow's White House meeting looks like it will be a massive waste of everybody's time - especially considering that Senate Majority Leader Mitch McConnell (R-KY) said on Thursday that he will not consider any House-passed bills that Trump won't sign. The two House bills would fund several agencies through September 30, and the Department of Homeland Security through Feb. 8. The DHS funding would give the agency $1.3 billion for border security which could not be used for Trump's wall. Just five Republicans voted for the bill, while sevel GOP lawmakers supported the other bill funding the other agencies until the end of September. Approximately 800,000 federal employees have been affected by the partial shutdown which began on December 23, representing around 25 percent of the federal government.